This year’s cinematic visual stunner is Life of Pi. Published in 2001, Yann Martel’s extraordinary book was generally regarded as too demanding, technically, to portray on the big screen. 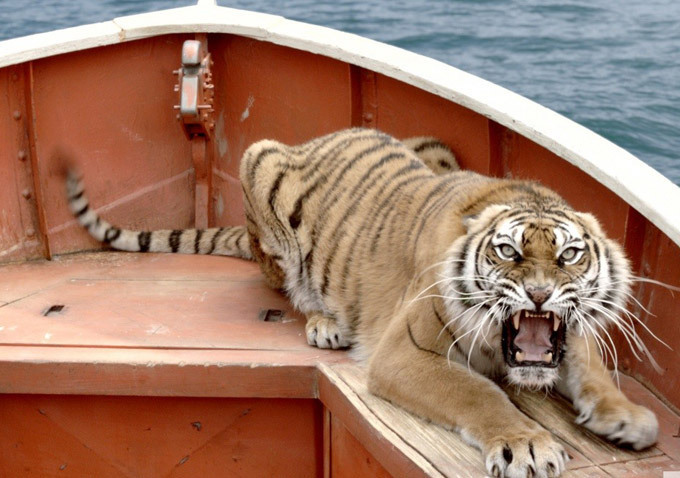 A ferocious Bengal tiger in a lifeboat for most of the story? Early on, a huge cargo ship founders in wild, heavy seas directly above the Mariana Trench, the deepest point on earth – an incredible 6.83 miles below the surface of the western South Pacific Ocean. Ang Lee vividly portrays the confusion and terror of a boy awaking in the dead of night, on a roaring, heaving ocean, to the terrifying realisation that in a few minutes he will go down with the ship. On the drop-down menu of nightmare scenarios, that’s right up at the top. Increasingly, the prevailing view is that we are sailing out of the GFC into calmer waters; shipwreck has been averted. But the truth is, no-one really knows if that is true. Greece, Spain, Italy, Portugal are definitely still in choppy, shark infested waters at best and still directly above the Trench, at worst. The United Kingdom is also sailing somewhere in the western South Pacific, and the credit rating downgrade from Aaa to Aa1 by rating agency Moody’s is an official reminder to the ship’s captain (one George Osborne) that he is on the bridge of a supertanker that might yet go down. Of course, a Aa1 rating is still a robust certificate of seaworthiness but, then, Titanic had one of those. So, although the downgrade has been described by UK Business Secretary, Vince Cable, as “largely symbolic”, and “background noise” it would be a naive mistake to regard it purely in those terms. My clients have sought my views on whether all this means they should consider reducing their exposure to UK government debt (which they hold in the form of fixed and inflation linked gilts). They ask: What if the mighty ship Britannia should actually sink?? 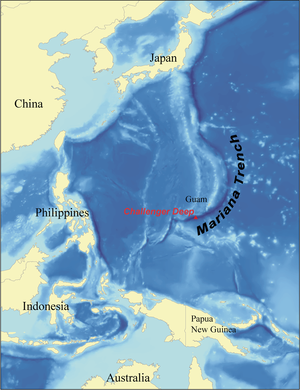 What if the much-vaunted Safe Haven turns out to be the bottom of the Mariana Trench? What if Cap’n George has gone for the wrong strategy (throwing ballast overboard, throttling back the engines and dropping anchor) instead of powering his way out with economic growth strategies? What if…? At 04:00, in pitch black, life threatening storm conditions in the Pacific, there are no easy answers. Everything is complicated – especially when the ship is tossing like a cork on the waves and the Captain’s team comprises a motley crew whose compass is an assortment of unaligned political and fiscal persuasions and directly competing ideologies, and whose guiding North Star is an election just beyond the horizon. But just because the question is complicated, doesn’t mean you don’t have to answer it. So, for what it’s worth, here’s my view on whether, on the basis of Moody’s downgrade, the time has come to abandon your gilts. Put simply, the answer is “No”. If the economic storm deteriorates sufficiently to sink the United Kingdom, it is unlikely to leave our bellwether corporations unscathed. Should the UK be unable to meet its debt obligations as they fall due, the odds are that debt issued by UK based borrowers will be in an equally sorry state, and, almost certainly, worse. Think about it. The supertanker goes down in the middle of the stormy night and the flotilla of accompanying small boats emerges untouched, safe and sound? 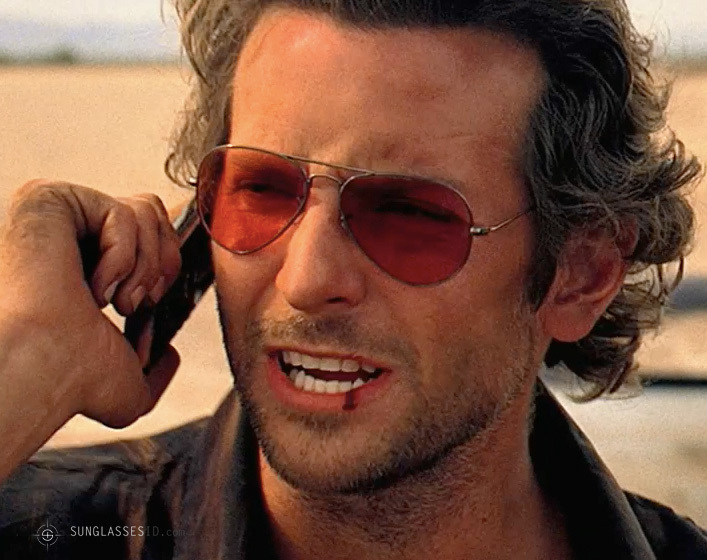 In the words of Bradley Cooper, “that’s not gonna happen”. No matter how bad the storm, you will probably fare better on board the supertanker. Even if, at odds of a million-to-one, you happen to find yourself in the lone lifeboat that does survive the killer storm, chances are there’ll be a Bengal tiger in it with you. Although corporate debt should sit alongside your gilts within the pension scheme’s fixed income allocation, it’s not a substitute for (even recently downgraded) government debt. All that said, there are a few reasons you could consider replacing some of your gilts. One, might be that, due to never having got around to de-risking, your particular pension scheme now requires a higher investment return than you can achieve from gilts. Without that higher return, pension benefits probably won’t get paid out in full to your scheme members. Another, is that gilts are the most liquid of debt instruments and your pension scheme may be able to forego that level of super-liquidity. Thus, less-liquid assets that pay more (due to their illiquidity (rather than their additional risk)) could be considered in those circumstances. But if you just want to hold the least risky, most liquid assets available, and if, because you did de-risk, you don’t need to go hunting for higher returns, (which always go hand in glove with greater complexity, higher risk or lower liquidity) then in my view your gilts still remain the safest haven. Although, of course, we may yet all find ourselves at the bottom of the Mariana Trench. I haven't seen Life of Pi but my wife and youngest son loved it! Risk should be considered alongside value. In the international waters described, the ships of different nationalities and quality all have different levels of affordability. Whilst there are no guarantees, the biggest and most expensive usually have lower risk of capsizing. If all the ships are considered too expensive/risky then alternative modes of refuge might also be considered. Liquidity might be considered a further dimension of risk. Illiquid assets have no active market, so investors can't be sure whether the price paid is above or below "market price". The buyer may pay a higher price, through knowing less about the asset than the seller, so adversely skewing the risk/reward equation. A key attraction of liquid assets is their transparency and shared market knowledge, irrespective of the liability characteristics of the investor. Whilst overall losses from gilts are now much more likely than when yields were close to 10%, when income tended to exceed fluctuations in capital value, the determining link to pension scheme liabilities make pension schemes consider gilts to be lower risk.